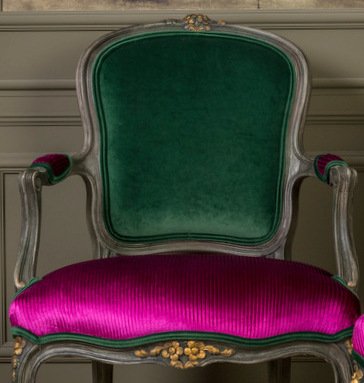 Italian reproduction of Luis XV smart armchair. Beech wood structure hand-painted dark grey with ancient effect. 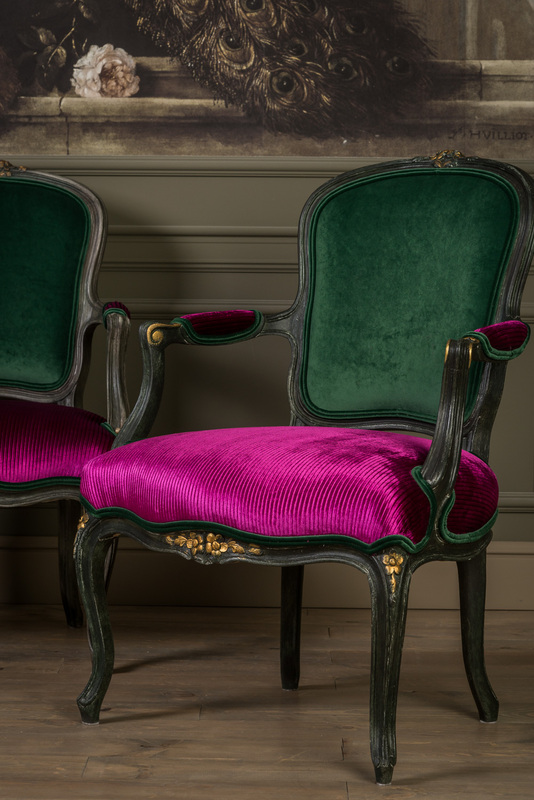 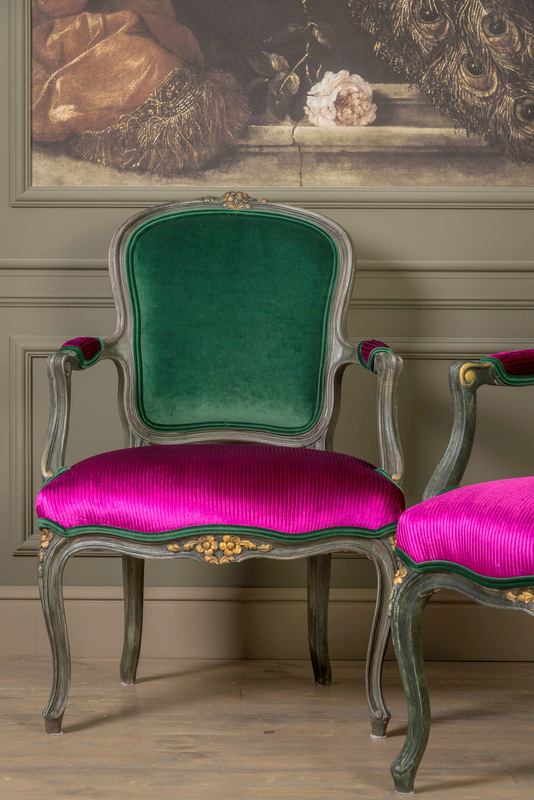 Upholstered in very high quality velvet fabric.